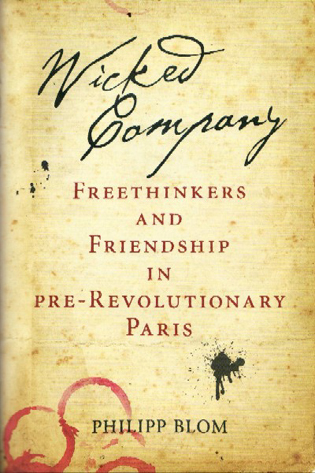 Philipp Blom's new book "Wicked Company" recounts the life of Baron d’Holbach’s intellectual salon of free thinkers, the “epicenter of intellectual life in Europe", in 18th century Paris. His salon was regularly attended by Diderot, Rousseau and a steady stream of eminent visitors from the 1750s right up until the French revolution. Philipp Blom’s excellent book recounts the life of Baron d’Holbach’s intellectual salon of free thinkers in 18th century Paris. The salon was regularly attended by his stalwart friends Denis Diderot, Jean Jacques Rousseau and a steady stream of eminent visitors from the 1750s right up until the French revolution. D’Holbach’s salon, then the “epicenter of intellectual life in Europe”, welcomed visitors from across the globe, from the Scottish philosopher David Hume to Benjamin Franklin. The revolutionary salon became known throughout the world as the Philosophes and Baron d’Holbach’s twice weekly meetings at his house on rue Royale Saint-Roch, were the fist port of call for any right-thinking visitor to the French capital. Over the Baron’s generously laid table – full of excellent food and wines – anything could be discussed and generally was, particularly atheism as well as the endless and massive task of writing the Encyclopédie, (the cleverly subversive 28- volume opus) a task undertaken primarily by Denis Diderot (assiduously helped by other members of the Philosophes). This monumental work took him several decades to complete and even at one point landed him in jail. D’Holbach, Diderot, Rousseau and other leading lights like Helvétius were intellectual revolutionaries who had found in the Roman philosopher/poet Lucretius and the Dutch philosopher Spinoza the guiding principles for their atheistic yet highly moral philosophy based on the pursuit of a secular happiness, tolerance and intellectual freedom. Their humanist outlook was the polar opposite of the superstition and obscurantism being peddled by the church to fog the mind of the common man – as they endlessly complained. Blom’s excellent turn of phrase and his compelling and accessible style makes the subject matter of the radical enlightenment in 18th century France fascinating. The salon was dubbed a “Wicked Company” by the famous British actor David Garrick, who was a visitor to the salon and who himself made a hit with the great wits of Paris. These are men who “dared to know” and who sometimes frightened even themselves with what they really thought. Their philosophical conclusions were at times out of synch with their hearts, which yearned for an easier and less dreadful vision of the world without a divine design. 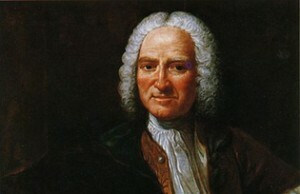 Blom traces the lives of the chief members of the salon: Baron d’Holbach, the host of the salon along with his rather self-effacing wife; Diderot, an underrated and revolutionary thinker now only really known (much to his chagrin probably) as the compiler and co-author of the Encyclopédie; and Jean Jacques Rousseau, who was to become the father of Romanticism. 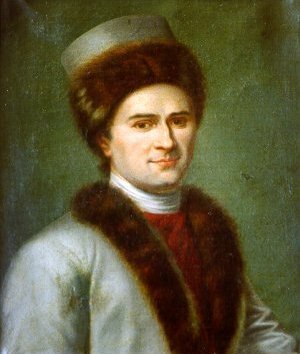 Rousseau eventually turned his back on the group, and is described by Blom as an unhinged genius who was prey to bouts of paranoia that eventually tinged his radical liberal thought with dictatorial tendencies. At the height of his international fame, he came to see logic in physically eliminating the enemies of his “ideal” society, a notion that made him a favourite with Robespierre and Lenin. The book is a collective biography of the deceptively noble d’Holbach, the disheveled Diderot, and the maniacal Rousseau and to some extent the rotund Scottish philosopher Hume too. The life of the salon depended on the long-standing relationships of these wits and philosophers who valued their friendship so highly. Their intellectual battles, their rivalry and at times their loathing for one another were all part of the intellectual fabric of the salon for several decades. It was a vibrant, progressive and very cultured environment, albeit one that ended in gouty and dignified old age. As philosophers, Diderot and d’Holbach lost the battle for posterity. In the history of ideas, Diderot and d’Holbach “lost out” to Voltaire and Rousseau and even Kant, who were co-opted by the political powers of the time: Rousseau by Robespiere and Lenin and Voltaire by the advocates of a “milder” enlightenment and Kant who was so vague (or incomprehensible) that he allowed for faith and religious belief to worm its way back into the mainstream of philosophical thought. The survivors, (not surprisingly) were those that did not rock the establishment boat, as opposed to thinkers like Diderot who were advocates of a much more radical enlightenment. 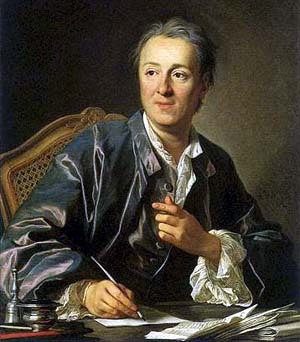 Modern thinking owes a great debt to Diderot as he was one of the first to take up the banner in defence of women’s rights, the abolition of slavery and anti-colonialism, well before his time. He was just too radical, even for the luminaries of the French revolution, who one would have thought would have made his writings the centre-piece of their cause. One of the few sour notes was from Edward Gibbon who made a few brief visits but whose opinion of d’Holbach’s coterie and its “intolerant zeal” was somewhat scathing: “…[they] laughed at the scepticism of Hume, preached the tenets of atheism with the bigotry of dogmatists and damned all believers with ridicule and contempt”. The salon had trouble with British intellectuals, not just Gibbon but also David Hume who was an admirer of theirs. He equally was greatly admired by them, but the liberal climate in England and the oppressive climate in France produced very different minds. David Hume was in reality a far more radical and lucid thinker than his French counterparts and drew far more terrifying and existential conclusions about human consciousness than either Diderot or Rousseau, who were intent on battering down the walls of obscurantism and superstition so as to clear the ground for a society based on mutual respect, pleasure and reason. David Hume pulled the rug out from underneath the very concepts of knowledge and thought, which led him to be skeptical of his hosts’ “religion of reason”. Blom brings the whole subject down to earth by juxtaposing the lofty thoughts of the group with the often not-so-lofty shenanigans in their love lives and their relations between each other, in particular the somewhat paranoid and clearly unstable Rousseau who shocked the very gentlemanly and honourable David Hume with his ingratitude and infantile tirades. However there was nothing frivolous about their intellectual stance. The church and the Jesuits were on the warpath and Diderot especially avoided the executioner’s attentions by a whisker. They sat around d’Holbach’s well laid table eating and drinking to excess, growing fatter and wittier by the day, but the stakes were high. The hangman’s noose was not far off. Part of the reason for Baron d’Holbach having being consigned to intellectual obscurity, apart from being a poor literary stylist, was that he never wrote under his own name as it was simply too dangerous. Blom clearly loves this band of witty intellectuals, although he does describe them as a “phantom ship in the history of philosophy”. Despite their foibles they had stuck to their principles and marked a vital high point in the history of ideas despite . This is an excellent book, that is both elegant and stylish, on a fascinating subject that makes clear that the Enlightenment has much unfinished business even in our own jaded post modern age.